I’m a huge fan of Nintendo’s Rhythm Heaven series, where colorful musical challenges are doled out in bite-sized minigames. So when it was announced during E3 that Rhythm Heaven Megamix, a pseudo-greatest hits compilation for 3DS, had been given a surprise launch, I ran from the show floor to my Airbnb and immediately started downloading it. I’m loving it—it’s still Rhythm Heaven, after all, and it contains a handful of games that are new to me, either because they were specifically made for Megamix or were repurposed from the series’ Japan-only debut—but Nintendo made one big addition that’s been driving me crazy. It added a story. Normally, Rhythm Heaven just throws you into the thick of things. You work your way through a set of several minigames, and once you’ve conquered them, you’re challenged to complete a Remix stage that combines them all into one brilliant song. Beat that, and it’s on to the next set. It’s simple, clean, and focused on the stuff that matters: the music and the minigames. 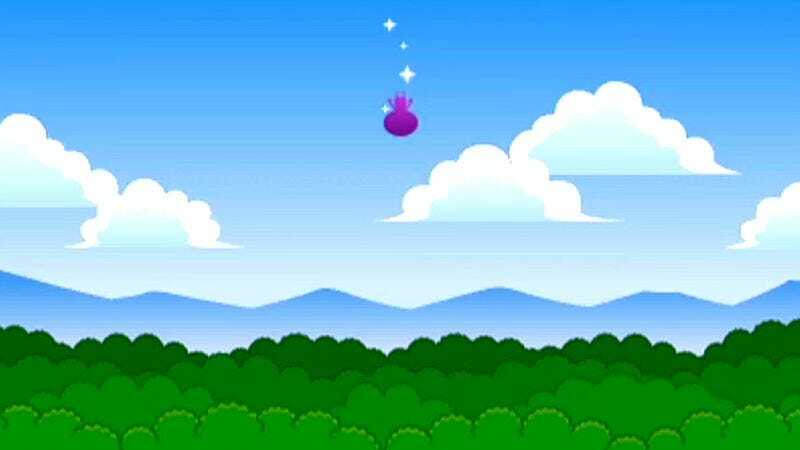 When you start up Megamix, you’re introduced to Tibby, a pink dog with an afro, which has apparently fallen from “Heaven World.” It’s your job to help Tibby get back. So the two of you set off toward a giant green tower, and on the way, you meet a handful of weird characters who force you to play rhythmic minigames to solve their problems. For what it is—a lark of a storyline that’s just meant to wrap these minigames into a cohesive structure—the writing is well-done. It’s funny and charming in the same cutesy yet off-kilter way that Rhythm Heaven always is, but when all I want to do is get into these minigames and get my groove on, these seemingly endless screens of text become pointless expository roadblocks. After a point, I’d rather just mash buttons to get through them as quickly as possible than read any of it. A big part of what I love about Rhythm Heaven is its simplicity. What few frills these games have are unobtrusive and serve to add even more wacky charm to the gobs of it they already pack. While this narrative framing for Megamix’s progression is certainly wacky, the extra quirk doesn’t make up for the heft it adds. After a few hours, you reach a point where the story disappears and the game returns to its typical format, but by then what’s left to play through are just harder versions of the minigames you’ve already beaten—thankfully, this is also when Megamix reintroduces the Remix stages, which are a highlight of any Rhythm Heaven. Megamix is a fine addition to the series, especially for folks who are thinking about jumping in for the first time. I just wish it would’ve let me feel the flow it holds so dear.